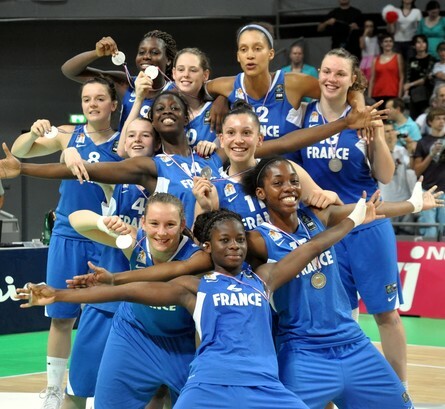 In the 2010 FIBA U17 World Championship for Women, the hosts France lost against the USA (62-92). The final match was played in front of a capacity crowd of about 2500 people. The game got off to an explosive start with the USA leading (11-5) with less than four minutes played. They stretched their advantage to 10 points (26-16) by the end of the first quarter. France came storming back in the second quarter and put a 15-4 run together to briefly lead (31-30). However the Americans regained the lead with Elizabeth Williams and Kaleena Lewis, combining 19 of their team's last 27 points. The USA went into the interval in front (50-38). France were unable to make inroads into the deficit during the second half of the match while their opponents kept control and cruised to victory. For the USA Ariel Massengale led the scoring with 20 points while Williams and Lewis finished with 15 points each. All other players at least scored 2 points. For France only Sara Chevaugeon scored in double digits with 11 points. In the match for bronze, China beat Belgium (85-73) with tournament MVP, 15-year old Meng Li from China pouring in 15 points in their last match. However she was outscored by Dong Yu with 32 points. For Belgium Julie Vanloo top scored with 23 points.